March is here. Spring break is in sight, and the light at the end of the tunnel is beginning to grow brighter. 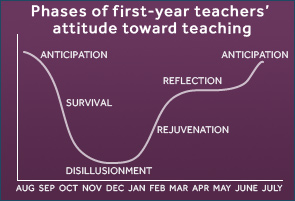 Very soon, teachers will be entering the Reflection Phase, and soon after that, a return to the Anticipation Phase. Where did the time go? Doesn't the beginning of the school year feel like yesterday? Just remember to breathe, and realize that you are on the verge of a tremendous accomplishment -- a completed school year! This is a reminder of the next Veteran TSS Seminar on Tuesday, March 10, 2015. This session will focus on strategies to support the Georgia Milestones. The General Session (4:30 p.m. - 5:30 p.m.) will provide an overview of the strategies. The PRIDE Content Breakout sessions (*5:30 p.m. - 7:00 p.m.) will provide additional activities. Since the TSS Seminars are normally 4:30 p.m. - 6:30 p.m., you will receive Seminar Credit for the 30 extra minutes of the Content Breakout Session. Be sure to register for the March 10th Veteran TSS Seminar in PD Planner. Please mark your calendars now for the 2015 End-of-Year Meeting Seminar on Thursday, May 7th 4:30 p.m. in the Elizabeth Andrews High School Cafeteria. TSS Mentoring Reports will also be submitted at the meeting on that date. You will be able to earn volunteer hours on your TSS Mentoring Report for the March 10th PRIDE Monthly Induction Seminar. Volunteers can arrive in the AIC Atrium area as early as 3:00 p.m. We need assistance with greeting the PRIDE participants, sign-in and out, and distributing the handouts for the PRIDE General Session. Please email Leigh Turner if you are interested in volunteering. We still have TSS Professional Leave Days for those TSS who would like to use them to observe their proteges or to allow proteges to observe effective teaching practices. Please see the email you received via FirstClass on November 5th. Request the day by submitting pages 1 and 2 via courier to Dr. Turner. The TSS and protege should complete Page 3. All forms must be signed by your principal. Following the Post-Observation Conference, submit Page 3 to Dr. Turner via courier within seven (7) days of the observation. The last date to request a TSS Professional Leave Day is Friday, April 3, 2015. The last date that a TSS Professional Leave Day may be utilized is Thursday, April 30, 2015. Retiring TSS are always acknowledged during the TSS End-of-Year Meeting/Seminar. If you are retiring this school year, please submit your name, assigned location, number of years of teaching experience, and number of years as a TSS via email to Dr. Leigh Turner by Friday, April 3, 2015. Your information will be kept in confidence until it is announced at the meeting. If you have questions, please contact Oliver Lewis, Director of Professional Learning at 678-676-0320. The training will highlight instructional strategies embedded within The DBQ Project, as well as application of those strategies to actual GA Milestones Assessment Guide questions. Below is a video that provides an overview of the DBQ Project. The Georgia Milestones Assessments are almost a month away! If you have not already done so, please take time to examine the GA Milestones Assessment Guides for grades 3-12. The links to the guides are located below, as well as a link to a GA Milestones practice exam. The practice exam allows you to see what the test will look like, in terms of online administration. The practice exam is not grade-level specific, but will provide a glimpse into the new technology-enhanced based tools students will have to use for the tests. We can only fit so much physical material in the newsletters! 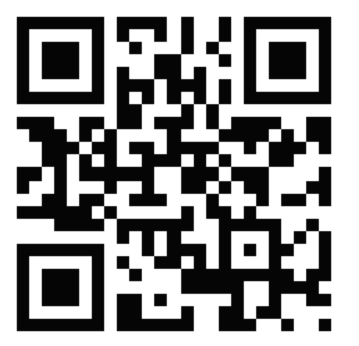 SO...the link and QR code below will take you to a shared google drive folder containing additional TSS Resources that have been approved by Dr. Leigh Turner. The folder will be updated frequently, so please make sure to check the folder periodically for new information. **We are aware that DeKalb sometimes blocks google drive on district computers. In these instances, please use your home computer to open the google drive folder and view/download materials.